When many think of Abraham Lincoln, images of a tall, gentle, and quite spoken man typically come to mind. 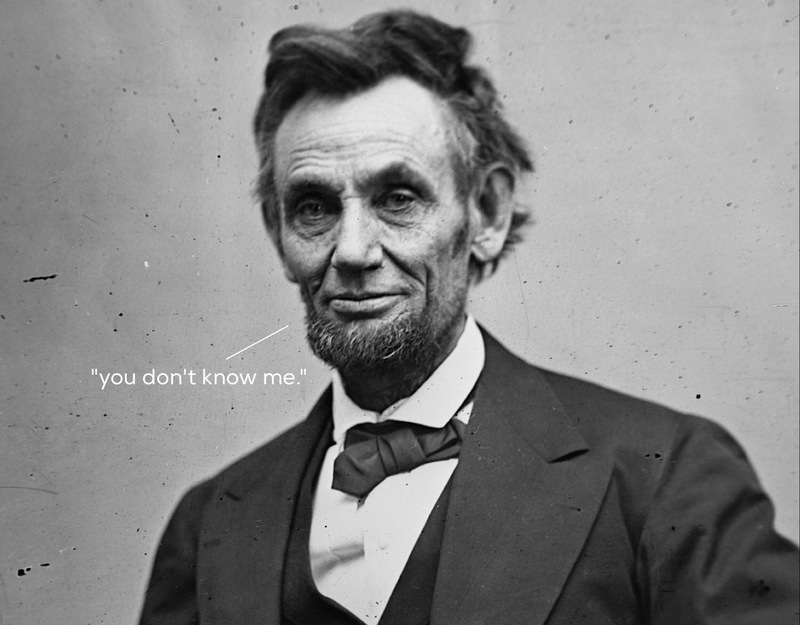 The 16th President of the United States is often characterized as a staunch, moral leader that helped to end slavery and bring a bloody civil war to a close. Considered by many a savvy politician, brilliant orator, and practically immortalized in his death, he is a key figure of American history and our country’s cultural heritage. However, aside from his historical and political prominence, there’s a plethora of fascinating facts about the man that many remain unaware of. I think the one of last things people would associate Abraham Lincoln with is professional wrestling. This sport – that many wrongly associate with rambunctious, wild characters and actors in tights and costumes who pretend to beat each other senseless with punches, body slams, and even chairs – actually dates back to the Greek Olympics. Though he may not be seen as much of a macho guy or someone that could beat an opponent effortlessly, according to the History Channel, Lincoln won 299 out of 300 matches. 2. He used his top hat in an uncommon way. Everyone has things that they carry with them: wallets, money, phones, documents, etc. However, Lincoln carried such items as these (well, except phones) with his top hat. Some may find this strange, but for the 16th President, it was a regular habit. 3. Lincoln held a patent, the only president to ever do so. Lincoln was apparently a somewhat innovative thinker; he conjured up and patented plans for a special type of river boat. Running aground in the shallow waterways of the Midwest could prove treacherous, and thus Lincoln’s boat was designed to be equipped with special balloons that could be inflated, raising the hull of the vessel and would hence avoid grounding. However, a fire that consumed part of the U.S Patent Office caused for the plans to go missing for a time and a prototype was never constructed. 4. He passed the bar without going to law school. Here at Regent, a place renowned for a rigorous law program, one is constantly reminded about how important going to such an institution is if an individual is to do absolutely anything in the legal profession. However, honest Abe didn’t go to law school but rather taught himself and in the year 1836, successfully passed the bar. 5. Edwin Booth was better this his brother, John. Ironically John Wilkes Booth, the same man who assassinated Abraham Lincoln, had a sibling who rescued Lincoln’s son Robert, from a fatal accident at a train station. Apparently Robert had landed on the tracks after having fallen off of the platform and was in the direct path of an oncoming locomotive. Tragedy was averted when Edwin Booth grabbed the young man and pulled him to safety. Moving Away From Meat: Can You Really Get Enough Protein in a Day? February 4, 2016 Cristina Goff Comments Off on Moving Away From Meat: Can You Really Get Enough Protein in a Day?